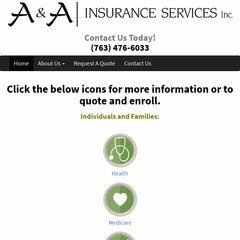 www.A-a-insurance.com - A&A Insurance Services, Inc. Topics: Individuals & Families, Employer Groups, and Travel Insurance. The programming language environment is ASP.NET. It is hosted by Godaddy.com Inc (Arizona, Scottsdale,) using Microsoft-IIS/6 web server. ns52.domaincontrol.com, and ns51.domaincontrol.com are its DNS Nameservers. PING (72.167.232.182) 56(84) bytes of data.